I’ve been taught by all sorts of instructors over the 30 plus years I have been riding. I find Verity to be a very clear instructor. She doesn’t over complicate anything and I don’t think she will mind me saying this but I think because none of it has come easy to her, it has made her a better teacher because she had to work so hard to achieve the level she has achieved. As well as Verity having taught me on my own horse I have also had the pleasure of having lessons and riding and Competing Rosevidneys resident hero, Lightning. He looks after beginners and is currently working at Medium level with Verity. I had the absolute honour and pleasure of competing him last year locally and at three BRC championships. Novice Dressage, Novice Pairs to Music and last but certainly not least the BRC Quadrille where we & the rest of the team became National Champions. He is the most honest horse I know & he knows his stuff. I tell everyone to have a lesson on him because he is such a great teacher for school work, lateral work, gaining confidence, jumping etc. I've been learning with Verity for some years now, and what can I say, my progression amd confidence due to her has made me the rider I always wanted to be. She's a firm teacher, but she is very fair, and I really like that way of learning as a rider. I admit I never really did dressage, I was always jumping, but now she has turned my views right around, and I love it. Im very lucky to learn on the one and only Lightening, who is not only very handsome but one brilliant safe horse to learn on. He makes my job as a jockey easy, and he really is so rewarding and confidence boosting. This boy makes me look a better rider than what I am, I won my first ever dressage test on him, and he just aced it. From total beginners to mpre advance riders hes great for anyone. Both of us wouldnt be where we are without Verity though, best teacher ive ever and will ever have, I couldn't rate her enough. 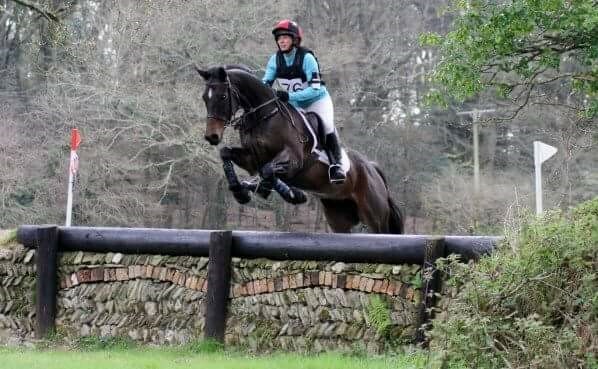 My new TB ex racer is 6yrs old and with the help and support of Verity we will be doing eventing, and my goal will be BE90, and I may dream big but Badmintion would be the ultimate goal, I have a horse who is fast amd can jump big amd clear, so why not dream big. Again Veritys flat work, dressage, jump training will give me on super horse, and I couldn't have anyone better than her to train him for me, and for me to learn on him with her teaching. Im excited for my future with my youngster, and the support/teaching/guidance of Verity. Being a Veterinary Surgeon I am incredibly fussy with who looks after my animals. 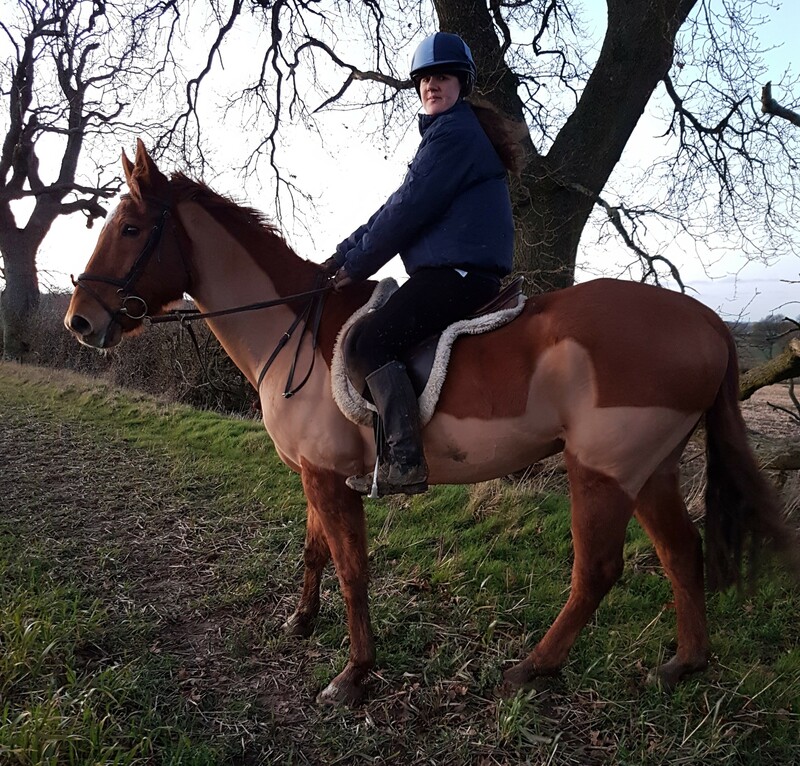 I have had many happy years at livery at Rosevidney with various horses, and now I am lucky enough to be able to have my horse at home, we still go back for lessons and to hire the facilities, and have been back for holiday livery too. Verity looks after your horses as if they are one of her own, and the facilities (especially the indoor school in long dark winters!) are great. She is also a fabulous teacher and has the skill to get the best out of you and your horse, and work hard to find solutions to any problems you may be having. I happily recommend Rosevidney and Verity to my friends and family. When my mare was out of action for a year I went to Verity at Rosevidney to allow me to stay in the saddle and tune up some bad habits! I can't recommend her highly enough. On her super cob, Lightning, we have been working up to some Medium dressage and improving my eye and approach to jumping. She doesn't let me get away with anything ... just what I need! A fantastic trainer for all levels from beginners to those wanting to work at a higher level. Brilliant!! Thanks Verity. 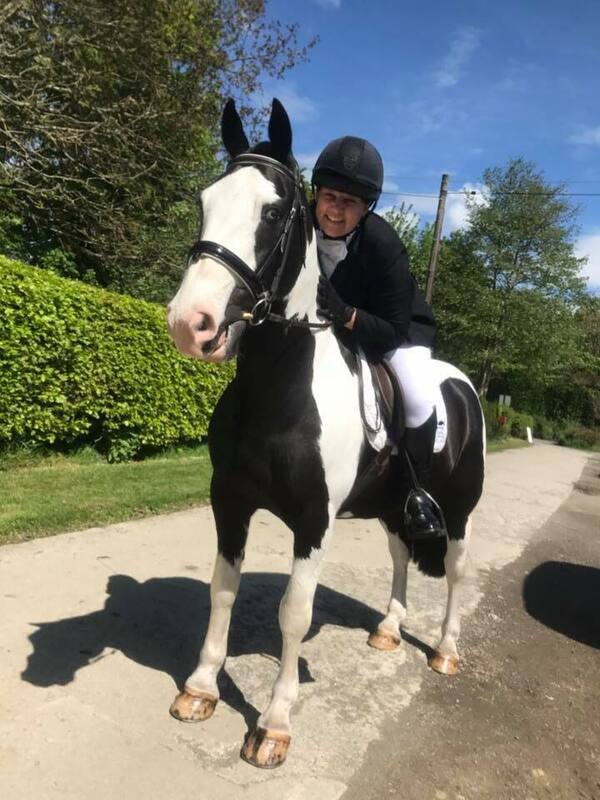 I highy recommend Verity, I've had lessons on my own horses over the years and found her to be encouraging, precise and always wanting to help. I've also been having lessons on lightening whilst my horse is out of action and really enjoy them. It's so great to be able to have lessons on a quality, well produced horse. Verity is a great teacher and all round lovely person. Whether your a novice to more advanced rider she's great! I am extremely blessed to own my wonderful heavy horses They are Clydesdale’s pure breed Hall Bluebird Kingsman and the beautiful Whitehills Bleu Over the past 5 years I have been extremely lucky to also have a true professional in verity helping me and guiding me on my new adventure of showing my Heavies. Verity has spent hours training Bleu to a amazing standard He goes from a happy hacker to a beautifully trained skilled showman, he loves his work and grows inches. It’s a pleasure to watch. 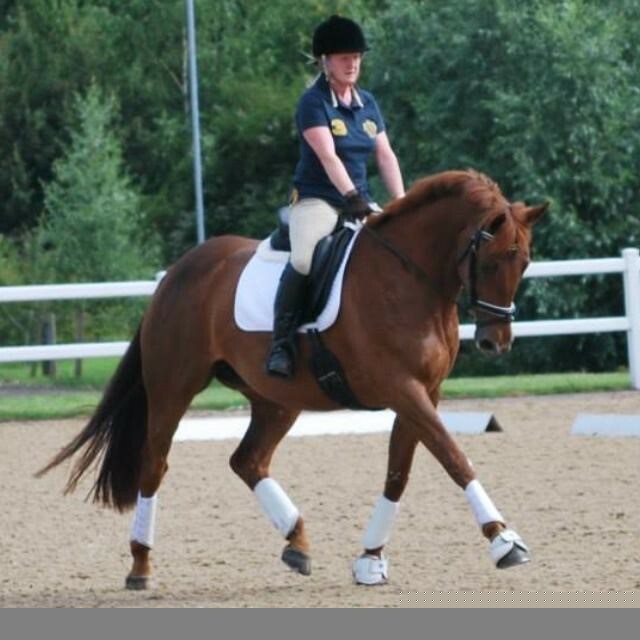 Verity has taken Bleu to a amazing level were he could now continue in dressage and excels in his lessons. Verity has now started to train kingsman who is a traditional Budweiser Clydesdale and will soon stand 18 hh He too is absorbing Verity’s years of experience and her amazing teaching skills. We hope to see Kingsman one day qualify for Hoys. I often leave Bleu and Bud in Verity’s expert care for training holidays, and adventures, I throughly recommend Rosevidney and Verity’s years of expertise. Verity has taught both myself and my husband for a good number of years. She’s patient and inspires confidence and took me from struggling at Prelim to winning elementary Dressage classes in a short period of time. She invests a lot of time and effort into the people she teaches and has helped me immensely. She has not only taught me but has jumped on and schooled my horses for me. I’ve also entrusted her to look after my horses while I’ve been away. She’s completely honest, reliable and a jolly nice person! I have known Verity for 12 years, she took my daughter from a rather naughty 2nd pony, all the way up to National Championship level. 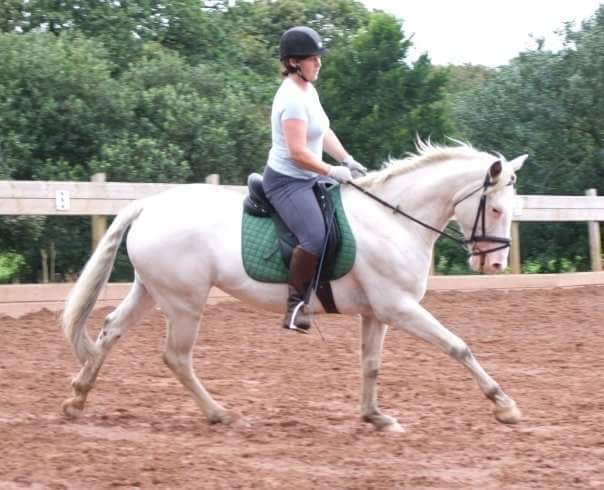 She also helped me move from a ‘rusty returner’ who hadn’t ridden for many years to a confident competitor enjoying the thrill of dressage and all its rewards. We have also on many occasions used Rosevidney Livery services when we needed our horses and ponies looking after whilst we were away. The complete peace of mind this gave us knowing they were not only being well cared for but well schooled too was fantastic. 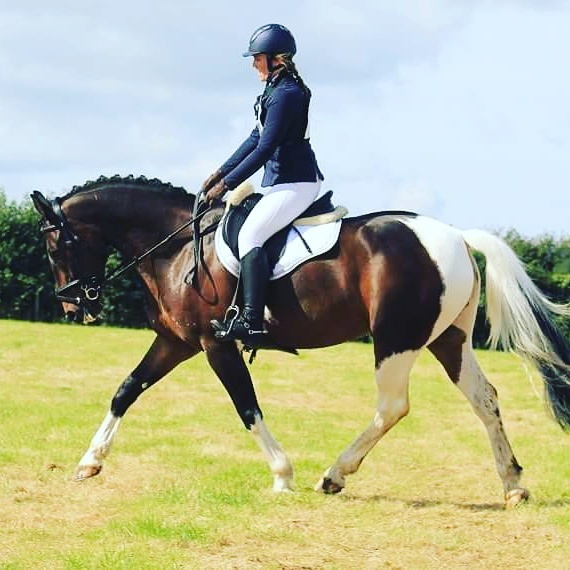 I wouldn’t hesitate to recommend Rosevidney, whether it’s for childrens riding lessons, schooling of horses or adult lessons....everything and everyone is treated professionally and with care, and Verity is a walking resource bank of sensible and sound advice. We are genuinely lucky to have Rosevidney on our doorstep and will always be extremely grateful for everything Verity helped us achieve. I’d heard of Verity’s reputation as a Dressage rider & Instructor and asked my parents if I could go & have a lesson with her on my horse, Harry. 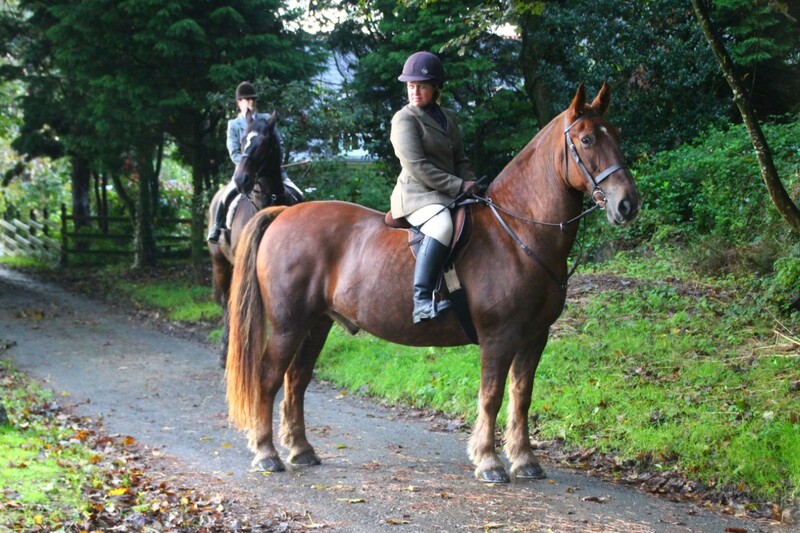 I had recently been bought him & was finding him quite a challenge as we both adjusted to life outside the riding school. He was the first horse I’d really ridden after learning to ride on ponies for many years. He didn’t want to work with me & I didn’t know what to do first to try & get him back on the right track & enjoying things again. So in April 2016, Harry & I went down to Rosevidney & with Verity’s help I’ve been able to work with him to improve his strength & fitness, to become a brilliant all rounder! We worked hard during our lessons & with the ‘homework’ from Verity we qualified to be part of the BD YOUTH Inter-county team in 2017, gaining scores at dressage of 67%+, which we were thrilled with given where Harry had started from. 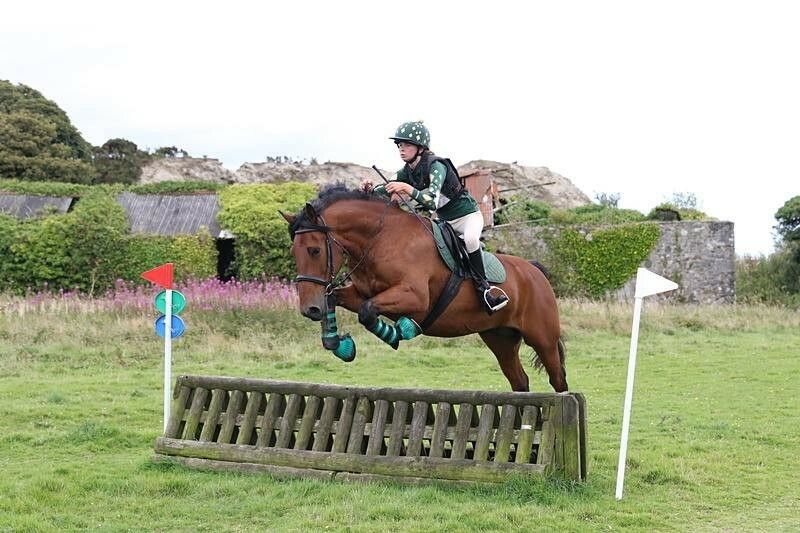 She helped me gain confidence with our jumping & we competed confidently at 80cm before working towards 90cm courses. This was all experiences that I could only dream of before I went to have lessons with her. Harry went unexpectedly lame at Christmas 2017 after an accident in the field, which meant I couldn’t complete enough training sessions on Harry to qualify for BD Youth again this year. 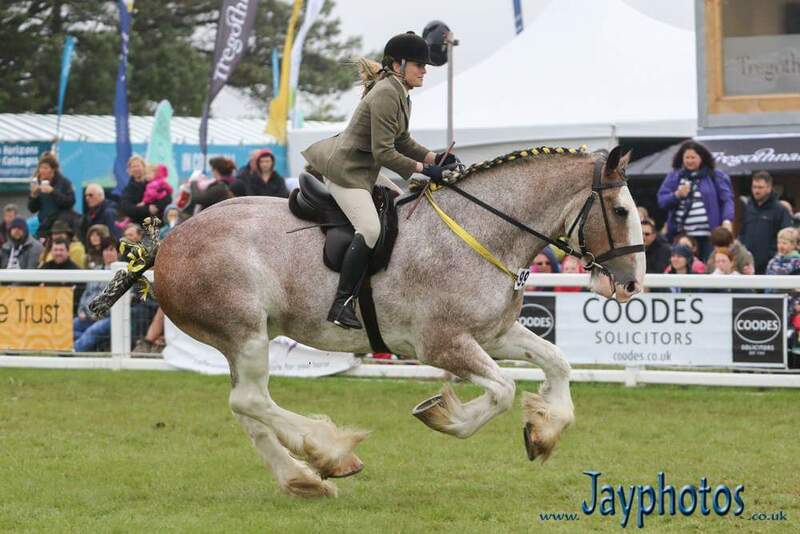 Verity was amazing & offered me the opportunity to ride her horse Silverline Lightning so that I could still compete. I rode 'Light' weekly over the winter to build up our relationship & learnt so much more, that I hope to be able to put back into Harry’s training later this summer. All our hard work paid off & we qualified for the BD YOUTH South West Inter-county Competition again as part of the Cornwall Team. I was thrilled to come 10th individually and 3rd with the Team! I’m now riding another horse, Gem, who has already proven herself as a very fast jumping horse, but under Verity’s instruction, she’s proving to be as quick with her learning & has already shown potential as a lovely allrounder! I can’t wait to see where this journey will take us! Verity tailors the lessons to us as individuals & can see what stage my horse is at & what to do next to bring the best out in both of us. I highly recommend that everyone goes to have a lesson, either on their own horse or on Lightning - he’s so well schooled it’s amazing to be able to feel what the more advanced movements feel like so you can know if you’re getting it right on your own horse! I started at Rosevidney in 2013. Very quickly, and after a 20 year gap, I rediscovered the joy of horse riding. I can not praise Verity and her team enough for the encouragement, help and patience they have all given me. Catering for all levels and abilities I have found the one to one training I get as unrivalled in the area. The positive attitude at Rosevidney is infectious. I was misfortunate a few years ago to suffer a physically limiting medical condition, Verity carefully adjusted the training and times to best accommodate my abilities and I credit her as a good part of my recovery to health. Riding at Rosevidney is more enjoyable now than ever. The benefits to me are both physical as well as mental. I still ride at Rosevidney at every given chance and feel lucky to consider Verity and her team as close friends.